After a raw breakup it can feel like nothing will ever be the same again. But new research suggests that the use of certain cognitive strategies could help those suffering from heartbreak to recover. In a small study, some strategies made participants feel less love towards their exes, or feel happier. Methods tested included thinking negatively about your ex, accepting your feelings of love towards an ex-partner, and distraction. While it ‘doesn’t work like an on/off switch,’ the authors told TIME, they say that ‘love regulation’ is a promising phenomenon with important everyday life implications. Breakups are tough. Love is one of the most powerful emotions we can feel, making heartbreak one of the most traumatic. 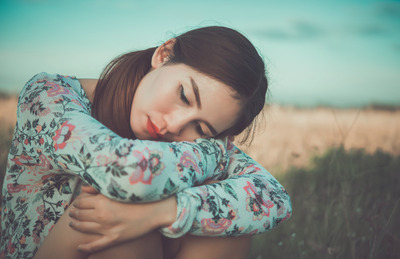 After a particularly raw breakup, it can feel like nothing will ever be the same again, with many sufferers reporting feelings of depression, anxiety, exhaustion, and even insomnia. And the one piece of advice so often doled out to those in this situation – that time will heal – can feel empty, even useless. Luckily, new scientific research suggests there are some cognitive post-breakup strategies that can be employed to make you feel less love for your ex, or even feel happier after a breakup. A small study conducted by researchers at the University of Missouri-St. Louis and published in the Journal of Experimental Psychology: General in May tested a series of strategies for coping with a breakup. It analysed 24 participants between the ages of 20 to 37 who had been in long-term relationships for an average length of 2.5 years, and who were suffering from heartbreak. They were asked to test different cognitive strategies to help them recover. The first involved thinking negatively about their ex. The third strategy was distraction. Participants were told to think about positive things that did not involve their ex at all. In the fourth controlled test, the subjects were not asked to think about anything in particular. The next stage of the experiment involved the researchers showing the respondents photographs of their exes and recording the intensity of their emotions using an electroencephalogram. They also answered a questionnaire about their feelings. The scientists found that all three strategies decreased the participants’ emotional response to the photos of their exes, which they deduced could help them deal with real-life encounters of reminders of them, say on social media, for example. The first strategy of “negative reappraisal” decreased love feelings but also made subjects feel more unpleasant. The second – love reappraisal – did not change how in love or pleasant or unpleasant participants felt. Meanwhile, distraction did not change love feelings, but made participants feel happier. Lead author Sandra Langeslag, assistant professor of psychology and director of the Neurocognition of Emotion and Motivation Lab at the university, told TIME: “Distraction is a form of avoidance, which has been shown to reduce the recovery from a breakup.” So this method should perhaps be reserved as a short-term coping mechanism. The researchers concluded that the results of this experiment suggest that “negative reappraisal is an effective love down-regulation strategy, whereas distraction is an effective positive emotion up-regulation strategy” in the context of a break-up. “To make a lasting change, you’ll probably have to regulate your love feelings regularly,” she said.